B&W image of three people examining the Wright Arithmeter. In the center is a woman pointing to the Arithmeter. They are in a library with book shelves in the background. The photo has an overlay with crop markings. 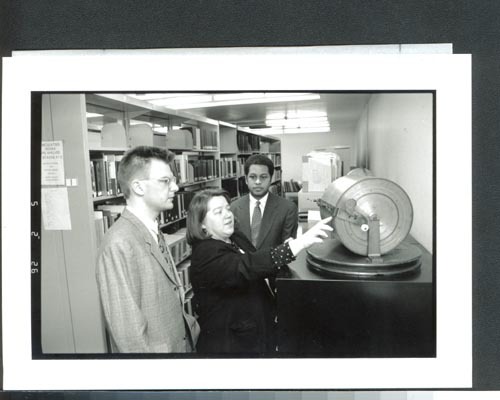 Verso: " 2-21-92 Wheel Arithmeter"
Photo courtesy of The New England, Corporate Library Historical Collection.